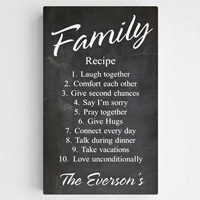 Display your recipe for love with this custom Family Recipe Canvas Print Sign personalized with your family name. 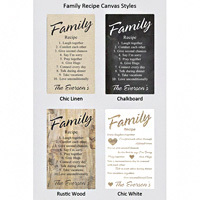 Choose from 4 sign styles including a chalkboard look, linen look, rustic wood, or traditional white. 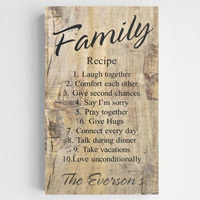 Made of a quality canvas, each sign arrives ready to hang and is stretched onto a wood frame by hand. 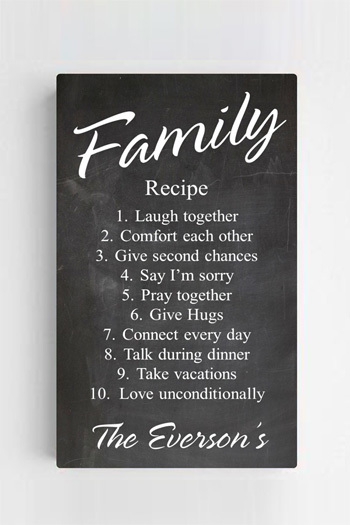 Each sign features the family recipe phrase shown. 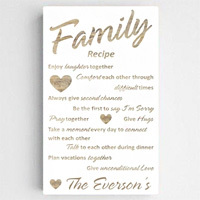 Personalize with your last name; up to 15 characters. The word 'The' is automatically printed.